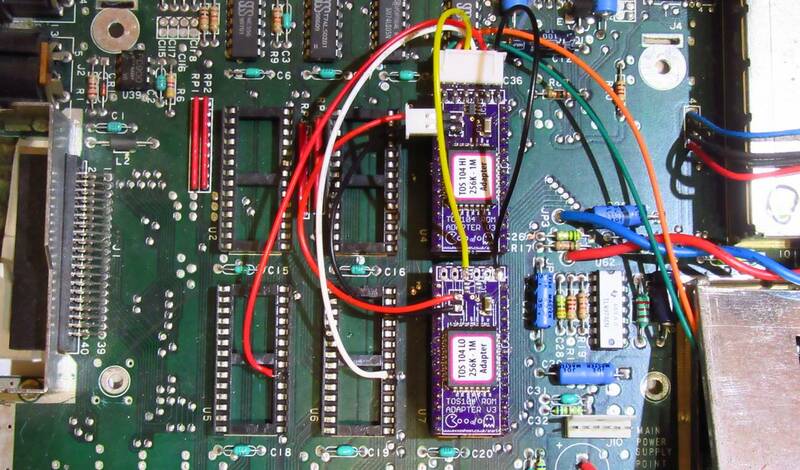 Universal TOS104 upgrade kit which can be fitted to any ST/F/M which would ordinarily be stuck with 6 chip TOS. The master board has a small IC which which is normally missing on STF/M machines which takes care of part of the address decoding. As 2 address lines are missing from the ROM area then these need to be soldered to the CPU. There are also a few other wires to solder. Some machines like the STF where the ROM's are under the PSU will need the ROM sockets removing. See the website info for more information and fitting. The ROM's used are "fast ROMs" which can be used in conjunction with the V1.5 booster.